Thanks to Mark Zuckerberg and the new Facebook algorithm, expect to see more embarrassing pictures of co-workers, vague-booking from friends, and unwarranted political opinions from family members. What are you going to see less of? Actual NEWS in your newsfeed! Facebook’s changes are great if you want the “social” network to be simply social. If you want NEWS to be part of your newsfeed...if you want to continue to see VETgirl Facebook news, amazing x-rays, and amazing clinical tips from us (or whichever site you love to read), here are the steps you should take! On Facebook, select the News Feed icon, then select Edit Preferences. 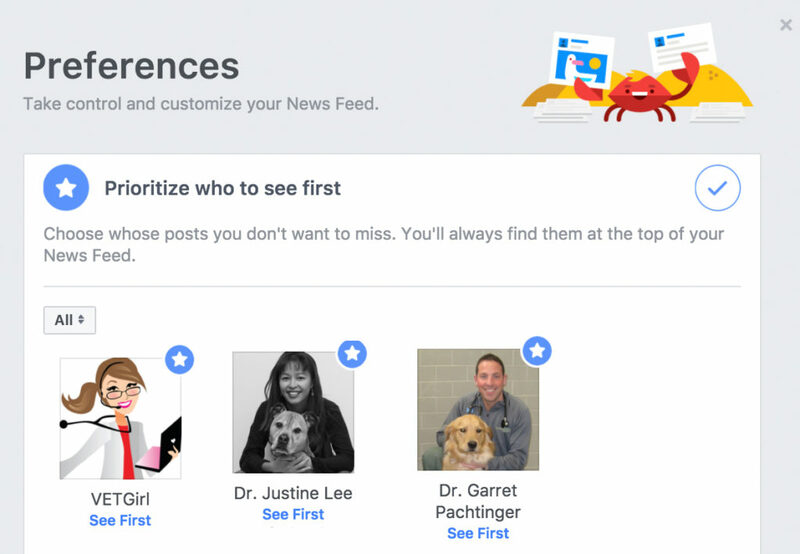 You’ll see Facebook’s Preferences page, where you can prioritize or hide updates from pages and friends. Select the “Prioritize who to see first” option, then select the pages and friends you most want to see. 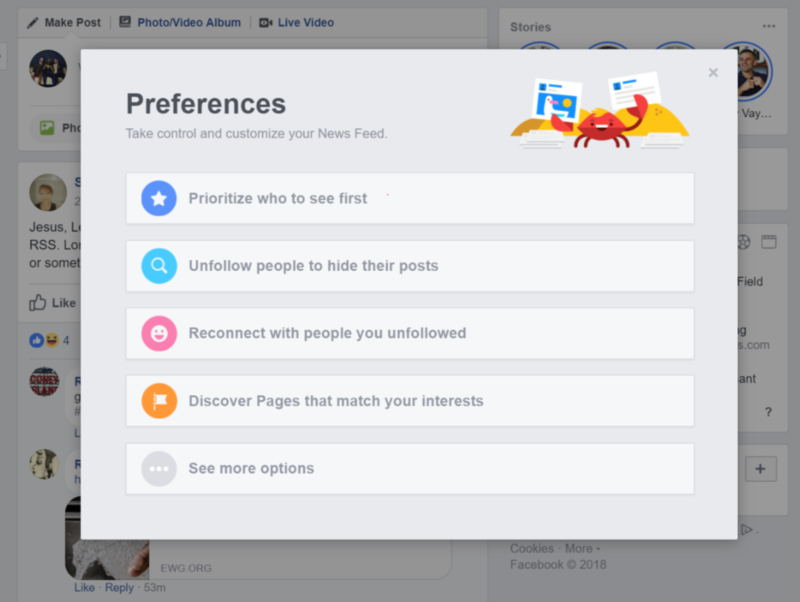 Now you’ll see the pages you’ve chosen first, with a small star next to them, above a news feed-generated selection of recent posts from your social network. You can, at the same time, hide updates from pages and friends you’d rather not have polluting your news feed. You’ll still see links if they’re shared from your friends, of course. But if you’re using Facebook as a place to stay up to date on current events, you might want to try getting your news from a more up to date source! You shouldn’t just get your VETgirl news from Facebook. You can check out the VETgirl website at any time to stay up to date on our webinars, real-life-rounds, blogs, videos, podcasts, and more!